This room is located in the tower that overlooks the farmhouse. 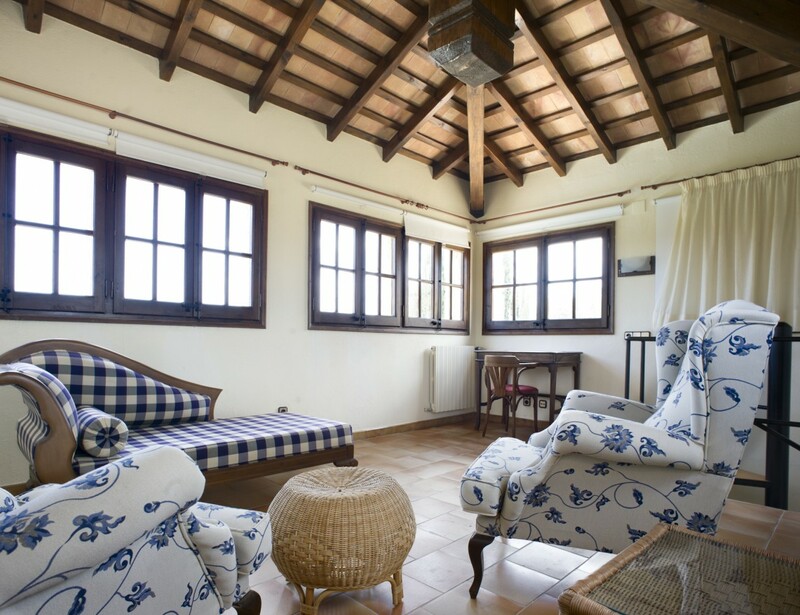 From the living room and the large terrace you can admire not only the botanical garden and the vineyards, but also the churches and surrounding villages. The mountain and the Montgrí castle stand out, as well as the Àngels sanctuary, the Gavarres and, on clear days, the eastern Pyrenees, presided over by the Canigó. The name is borrowed from the song by the singer-songwriter Lluís Llach. 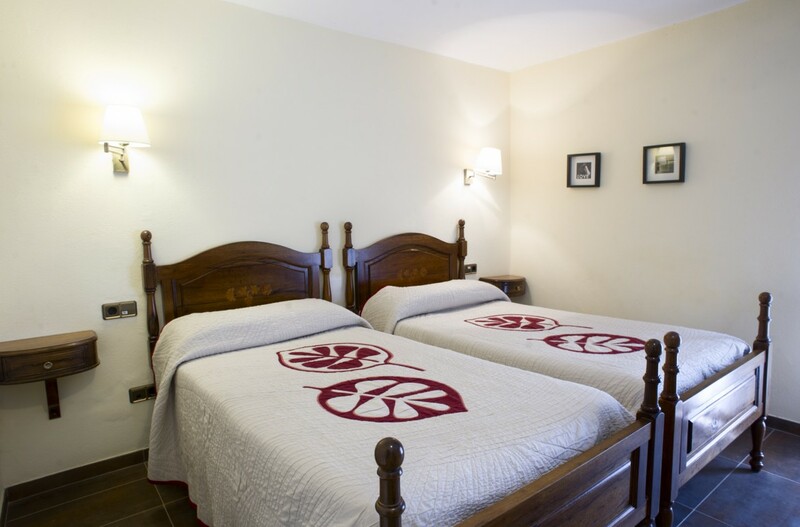 It is the only duplex room of the farmhouse, located on the first and second floors. It has a floor of 30 square meters, overlooking the pool. 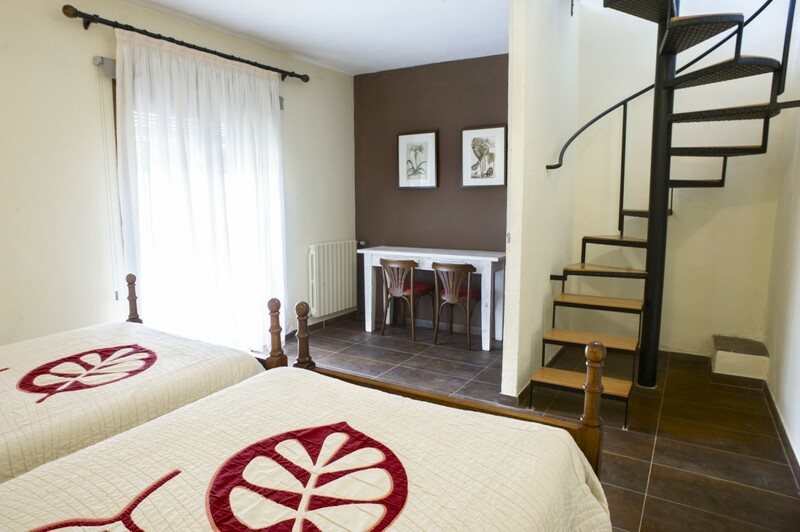 It has two beds of provencal style, 105x190cm, with marquetry inlays that reproduce the sun and moon from a window of the farmhouse, and also grapes. 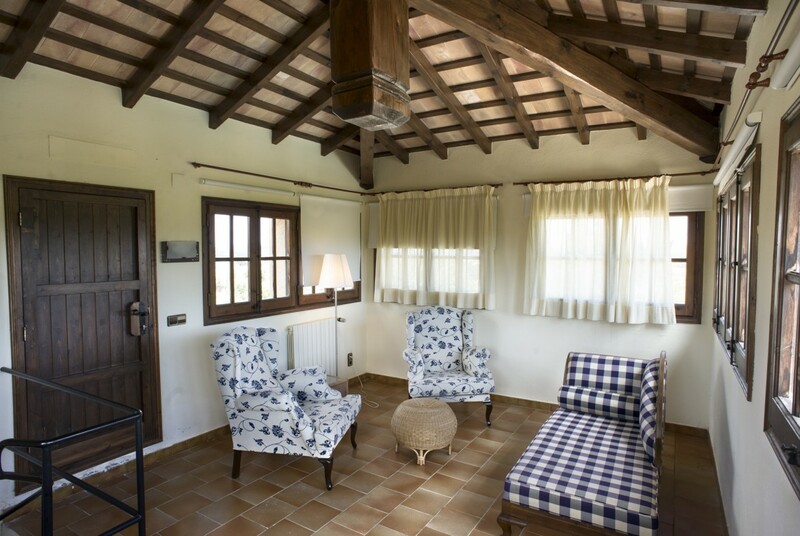 In the attic, of 18 square meters, also overlooking the gardens, the pool and the surroundings, we find a cozy living room with access to a large terrace overlooking the garden, vineyards and villages, the plain and the neighboring mountains.